Selling for £895 when it goes on sale in September, mu-so packs Wi-Fi, UPnP, Bluetooth and AirPlay, along with six speakers driven actively by 450W of digital amplification – and Android app control! This is the Naim mu-so: launched in April as Muso, but now renamed mu-so in time for its on-sale debut in September at £895, it’s a complete all-in-one system for standalone use or as part of a whole-house music set-up. 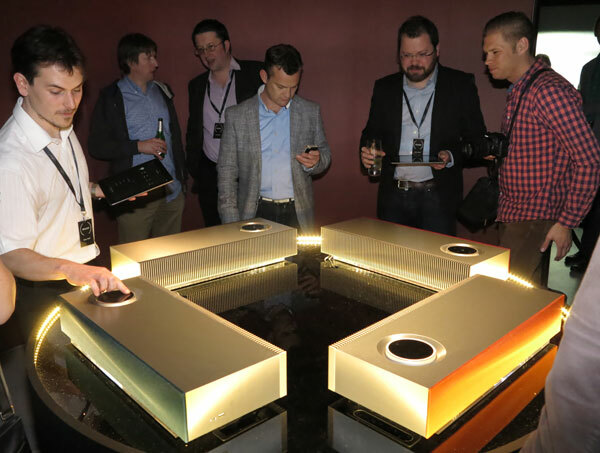 Every bit as radical as was the NaimUniti when it was announced just on five years ago, mu-so has Wi-Fi, UPnP, Bluetooth and AirPlay, compatibility with Internet radio and streaming services, and six Naim-designed speakers onboard, driven by six 75W digital amplifiers. What’s more, a new mu-so app will appear at the same time of the system: able to control both the new unit and existing Naim network music products, it will for the first time bring Naim streaming control to users of Android devices as well as the iOS of the current n-Stream app. Mu-so will allow music to be streamed directly from iOS devices and computers running iTunes using Apple Airplay, while Bluetooth with aptX compatibility enables it to be used with a wider range of smartphones, tablets and computers. Like other Naim network music products it supports UPnP music streaming over Wi-Fi and wired Ethernet, handling content at up to 24-bit/192kHz when connected using Ethernet, and up to 48kHz when used wirelessly, and also offers Naim’s party mode when used with other network products from the company. An embedded Wi-Fi antenna system developed for the system combines with a diversity receiver to ensure good Wi-Fi connection despite the unit’s metal enclosure and lack of external antennae. 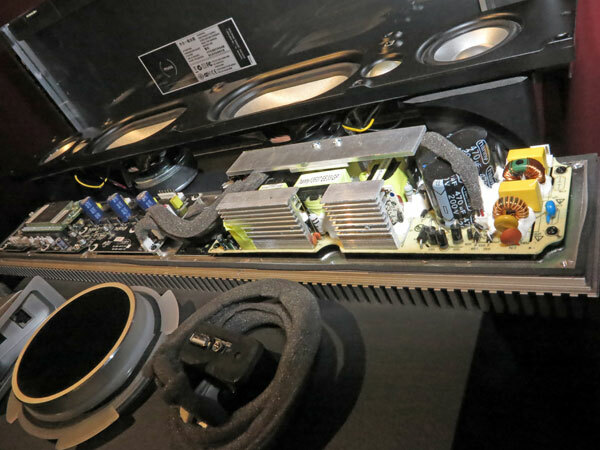 The onboard active speaker system uses a custom designed dome tweeter, midrange driver and bass unit for each channel, with driver powered by its own 75W digital amplifier. Digital signal processing, running on a 32-bit chip capable of 150m calculations per second and using Naim-written code, controls the sound: it offers two settings for boundary gain compensation, for when the system is used close to or away from walls, and a Naim-developed loudness function to compensate when the system is used at low volumes. The bass is tuned using a ribbed, flared reflex port, designed to reduce resonance, lower distortion and deliver ‘serious kick for a powerful musical performance’. The main control for mu-so is a contactless touch panel reminiscent of that used on Naim’s flagship Statement amplifier: it uses a light-based system to detect and transfer settings, and has 11 volume segments illuminated to varying levels using refracted light. 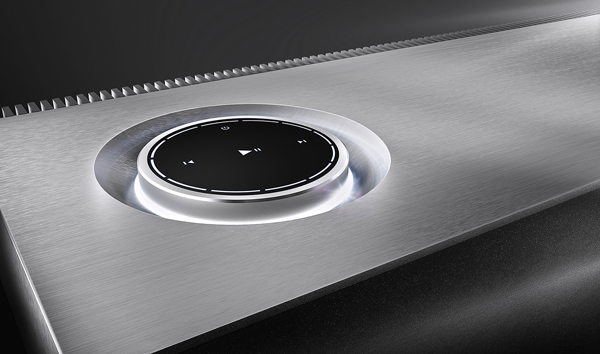 Naim points out that yes, the mu-so does ‘go to 11’ and that the photo interrupter control system ‘as well as being a more reliable and consistent alternative to a mechanical contact, allowed complete control of the tactile feel of the volume dial, the primary physical interface and an essential touch point. The system can also be controlled using a remote handset supplied or that mu-so app, and is designed for simple set-up: it needs only to be connected to the mains and either Ethernet or an iOS device, from which it will take wireless network settings. As well as the wireless connectivity, mu-so also has a 3.5mm analogue input, optical digital in, and a Type A USB for portable devices and storage media. Mu-so uses a wooden enclosure for the speakers, chosen for its self-damping properties, but the whole system is clad in aluminium, with an extruded aluminium heatsink running the whole length of the unit and a curved speaker grille to the front. The shaping of that grille, along with the transparent acrylic base on which the system sits, and the anodised, bead-blasted volume ring, all echo design elements of the Statement amplifier. 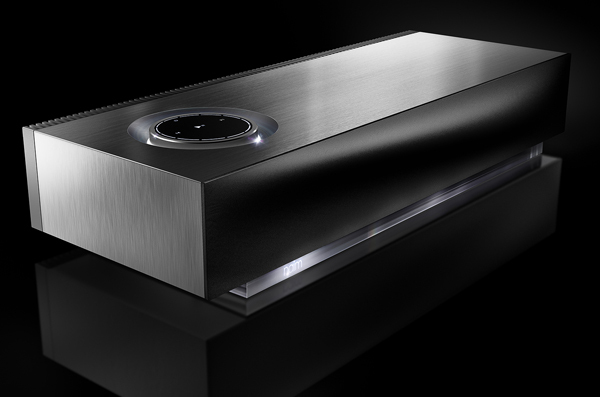 Designed and engineered by Naim’s 34-strong in-house R&D team, mu-so measures just under 63cm wide, 12cm tall and 25.6cm deep, and weighs 13kg. Its launch comes just days after Naim was announced as a winner of a Queen’s Award for Enterprise in Innovation, marking ‘innovative design and engineering exemplified in their award-winning range of high-fidelity music streaming products, a series that has transformed the business and helped secure double-digit growth for the Salisbury-based company by December 2013’. 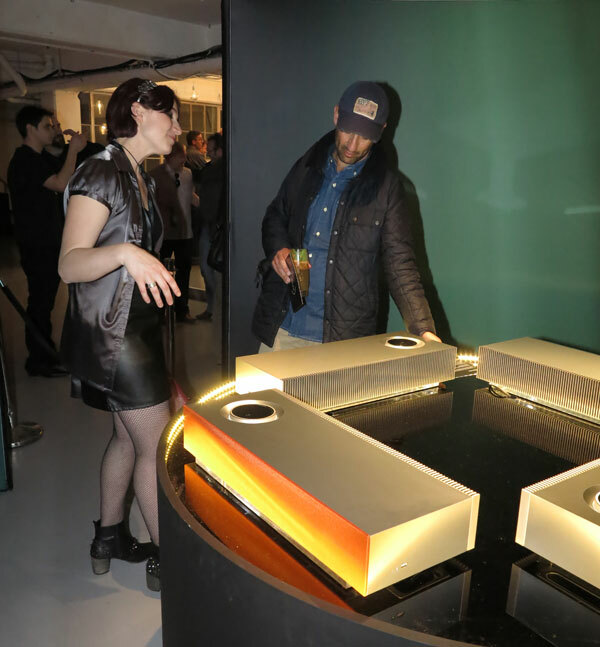 At the launch event in London (above) I had the chance to catch up with Naim Technical Project Manager Trevor Wilson, who as well as heading up the company’s network audio R&D has been leading the mu-so project for the past six months or so. Looking as pleased to have the product out in the open as anyone clearly sleep-deprived possibly can, he explained to me some of the challenges involved in bringing mu-so together in a relatively short time, and getting the Chinese production both up to scratch and ethical. Naim had eight mu-sos up and playing at the event, these having been more or less handbuilt, with another one in pieces to show what goes into this new system. Got the feeling Trevor had heard the ‘So this is the one you didn’t get finished in time’ joke more than once before, but he took me through the MDF enclosure in which the whole system is built, and the extremely tight fit of all the components within the package. I was interested to see that Naim has gone for conventional cone-type drive units rather than the Balanced Mode Radiators found in some of its other speakers, but apparently this was done purely after extensive listening tests – which, by the way, also determined the positioning of the tweeters inboard of the midrange units: ‘It simply gave us a better, more spacious stereo sound’. Close attention was also paid to the sealing of the enclosure, and the ribbed, flared port assembly – ‘It doubles as a useful tool for your vacuum cleaner,’ Wilson joked, showing me the moulding, which really does resemble the kind of attachment you use for cleaning upholstery and curtains. The mounting for that very slick combined volume/control device in the top-plate of Mu-so is a twist-fit assembly also forming a gasket to seal that opening in the enclosure. Meanwhile the most commonly used input sockets – the two-pin mains in, Ethernet and optical digital – are in a metal housing (left) slotted up into the casework from below, allowing all those cables to exit downward and to the rear, keeping them out of sight. Oh, and I had a chance to have a first look at the new app to be launched alongside mu-so, and to be available for both iOS and Android platforms: as a long-term n-Stream user, I’m looking forward to the enhanced interface, with the ability to flick through galleries of album art, compose and view playlists on the screen, and even check what’s on the internet radio without having to interrupt, say, UPnP listening. He hinted that there will be two versions of the apps: one simpler, and more mu-so-specific, the other designed to work across both mu-so and the company’s existing network music products. The main circuitry for mu-so – power supply, amplification, DSP and the receiver modules for AirPlay, UPnP/W-Fi and Bluetooth/aptX – is all mounted on the aluminium heatsink, which is made in three extrusions and then welded together, along with the rear Wi-Fi antenna assembly, which is just visible between the slots of the heatsink if you look at it with the light at the right angle. 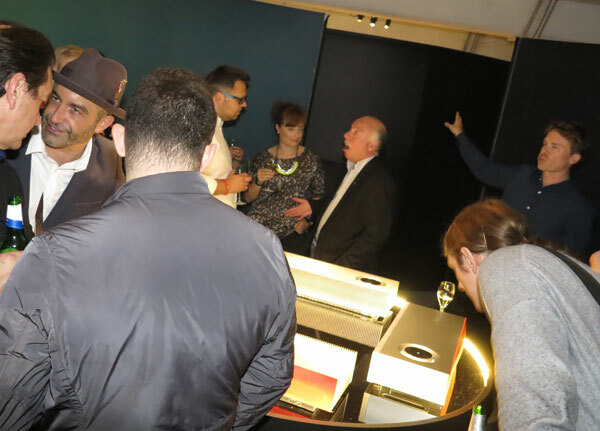 This diversity antenna system was designed in conjunction with a Consulting Professor at Queen Mary University of London – ‘he lives and breathes antennae’, according to Naim boss Paul Stephenson – seen below (centre) extolling the benefits of diversity Wi-Fi reception. 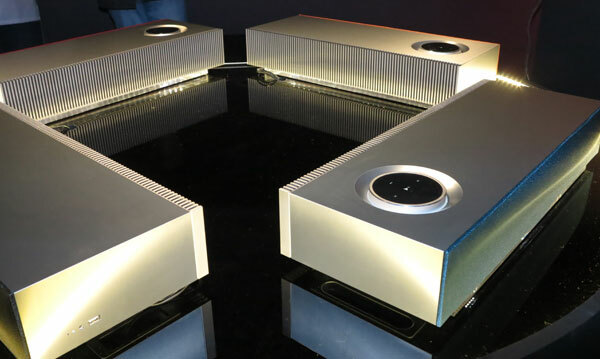 Stephenson is extremely bullish about the prospects for mu-so, which is due to be sold in new outlets for Naim, such as John Lewis, as well as through the company’s existing dealer network, and online from Naim’s own site. 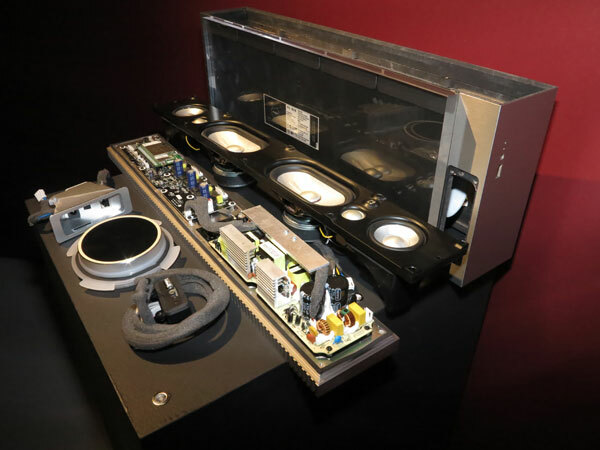 But what about the elephant in the room – the fact that mu-so is going to be the first complete Naim product to be made not in the Salisbury factory, but in China – ? Both Stephenson and Wilson stress that the search for a manufacturing partner in China was long and hard, not only on quality grounds but also to ensure that the chosen company met ethical standards when it came to working conditions and practices. ‘It was when we met with one company and the boss looked at mu-so and said “I’d buy this myself” that we knew we had someone we could work with,’ Wilson explains, adding that staff from Salisbury have spent a lot of time in China going through details of the product, the production and the finish. 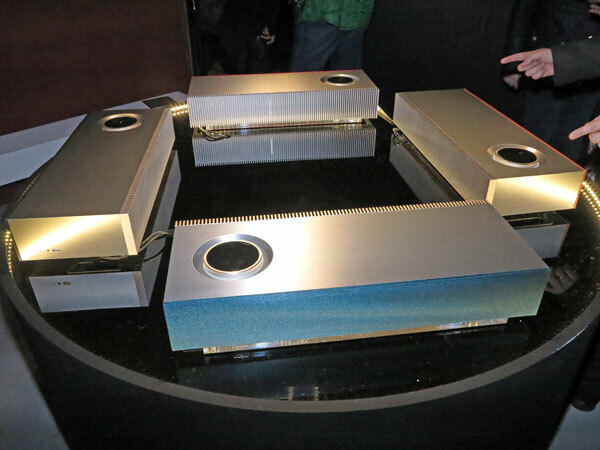 Talking to Naim sales manager Doug Graham, it was clear how important it was to get mu-so to a sensible price, and this involved the move to production in China. We agreed that there would be little point in insisting on the production be entirely in the UK if that meant mu-so sold for £1500 or even £2000, thus severely limiting its appeal to buyers: the system is designed to broaden the appeal of the Naim brand, and thus bring new buyers to the company’s products, and for that the pricing had to be right without compromising quality. With mu-so launched – or at least shown –, Wilson explains that the next hurdle is ramping up that production in time for September, and while some voicing and final adjustment is yet to be done before mu-so hits the shops, the impression is that the company expects this new arrival to sell in unprecedented quantities. 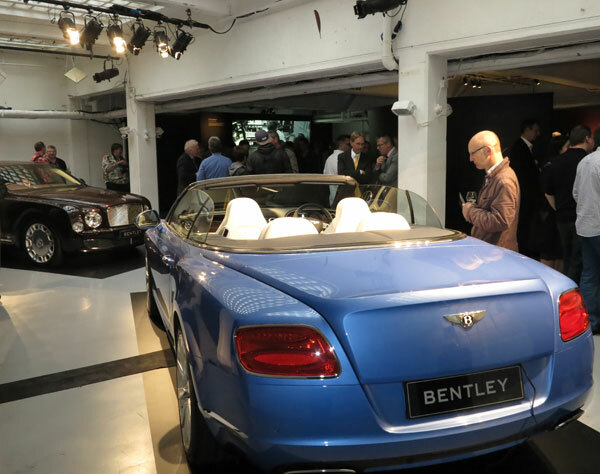 Interestingly, the launch event in London’s Soho showcased not just mu-so, but the company’s Statement amplifier (from which the new system borrows some styling cues), and its ongoing commitment to the Naim for Bentley project, with two cars on-site for listening and a nod to Naim’s sponsorship of the Crewe company’s GT3 racing team in the 2014 Blancpain Endurance Series. 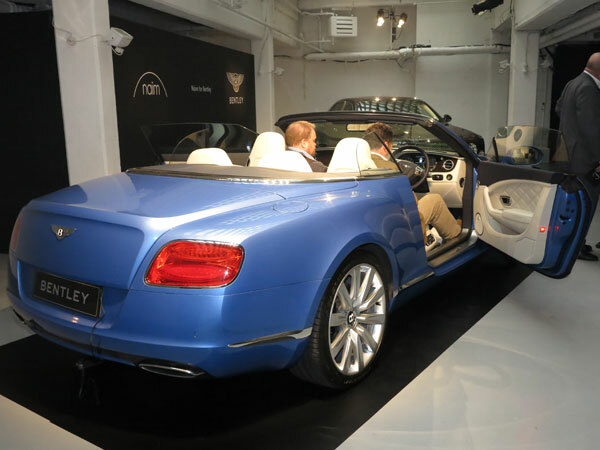 So, all that’s ticking along very nicely – mu-so launched, Statement in production, Queen’s Award and the relationship with Bentley clearly still going well. What next? Feet up, bit of a rest? You need to tell your proof reader to drink a bit less at these launches. Would that I had a proof-reader; would that I drank at these launches. Corrected, apologies – sorry, APOLOGIES!!! Im sorry but the silver finish doesnt really do it any justice in for me. I would buy one on release day if it was black! ……if its gonna be sold in apple stores you need to offer a better colour than boring silver! as opposed to boring black? … get a life you emo! But what he does it sound like? Impossible to tell ATM, Steve D, as have only heard it at events where several were working and competing with other audio systems being played at the same time. And anyway, I’m told final voicing of the product is still being undertaken, so have requested a review sample when it’s a) in production and b) ready for sale.